It's a chilly rainy morning. What a great day to snuggle under the covers, and sip a warm cup of latte. If only I have one more reason to enjoy this day and be happy... But I'm okay for now. Thank God for days like this one. 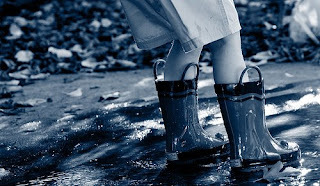 Skip the puddles, and feel the droplets of rain... What a beautiful day!